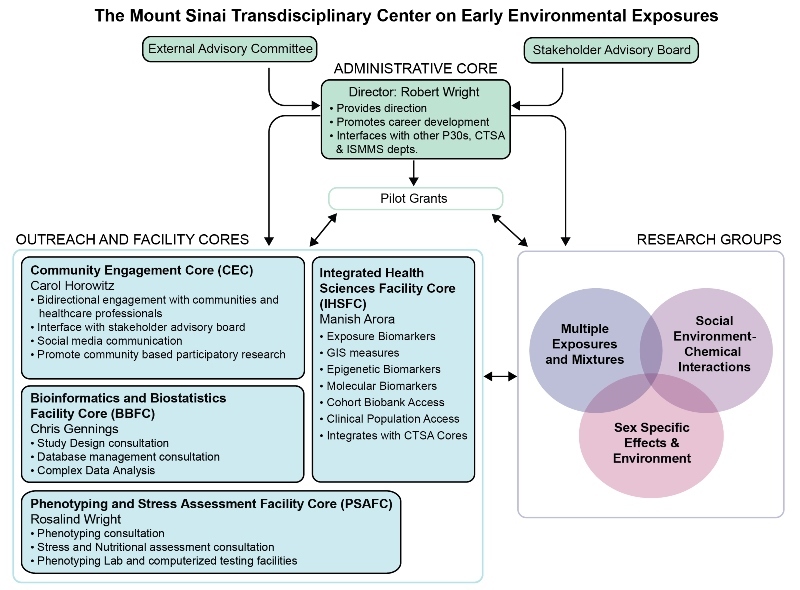 Our Center’s mission is to understand how environmental exposures in early life influence health, development, and risk of disease and dysfunction across the life span – in infancy, childhood, adolescence and beyond. We are studying the health impacts of chemical, genetic, nutritional, and social exposures and the interactions among them. Our approach is transdisciplinary and highly translational. We are combining clinical, population-based, and biological research with leading-edge genetics, epigenetics, and bioinformatics in the setting of a hospital-based, urban school of medicine. Through our clinical and community partnerships, we will translate our research findings into evidence-based approaches for disease prevention and treatment.